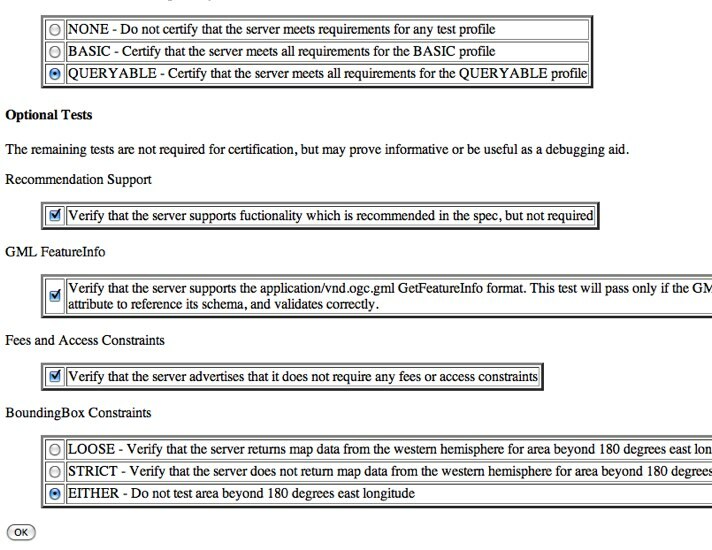 A step by step guide to the GeoServer Compliance Interoperability Test Engine (CITE). 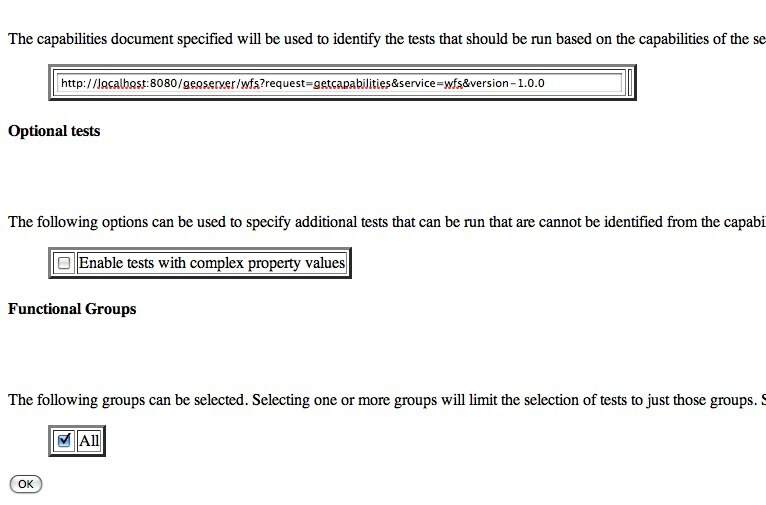 Running WFS 1.0 tests require PostGIS to be installed on the system. Running WFS 1.1 tests require PostGIS to be installed on the system. Start GeoServer with the citewms-1.1 data directory. 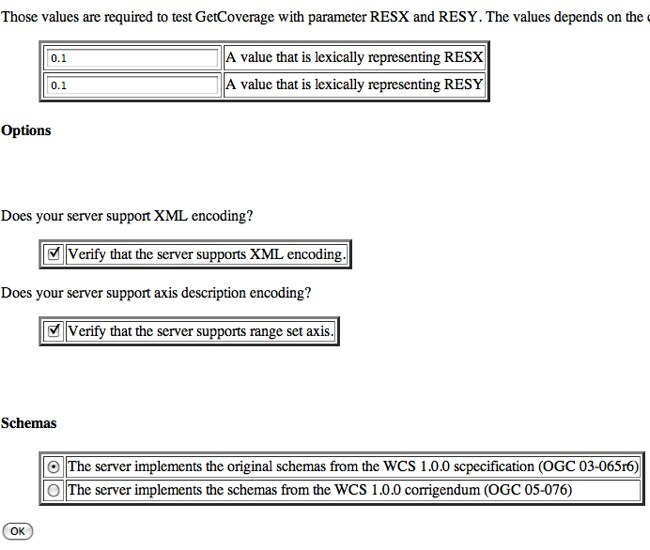 Start GeoServer with the citewcs-1.1 data directory. 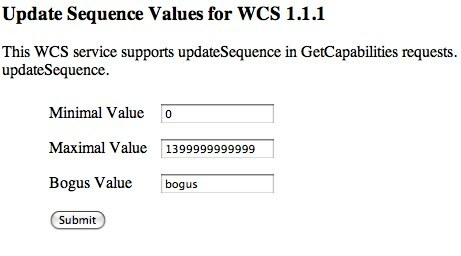 The WCS specification does not allow a cite compliant WCS 1.0 and 1.1 version to co-exist. 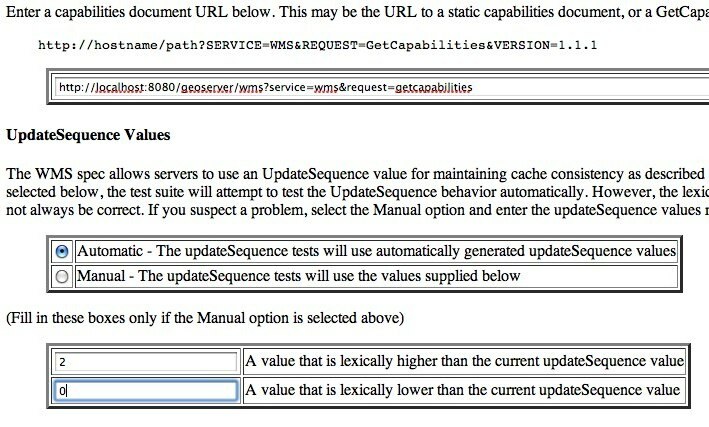 To successfully run the WCS 1.0 cite tests the wms1_1-<VERSION>.jar must be removed from the geoserver WEB-INF/lib directory. 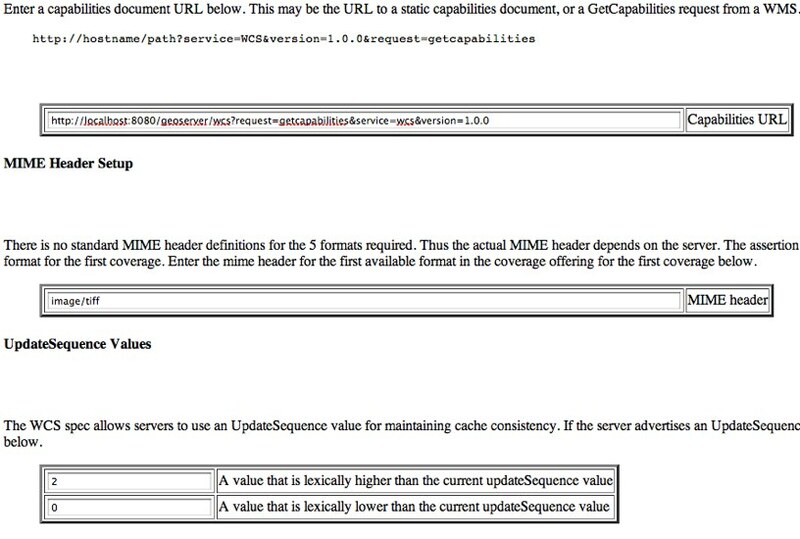 Remove the wcs1_1-<VERSION>.jar from WEB-INF/lib directory. 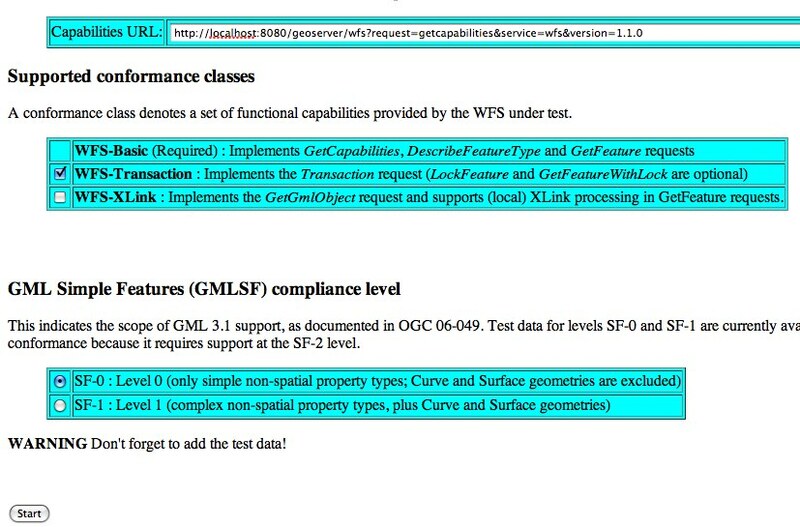 Start GeoServer with the citewcs-1.0 data directory. To run on a different port pass the -Dengine.port system property to ant command.